If like me you have super sensitive skin then these little wonders are just what you need. I saw these over on the Beauty Emporium website back in October and decided to give them a whirl. You can use the sponges with a regular cleansing wash or without one if you prefer and if you use a cleansing wash you only need a fraction of the amount you would normally use. I chose to try it without to see how it would perform and I tried out the natural one first. I found my skin was left super soft after use. They are even gentle enough to use on the eye area too, although I didn't find that it removed my eye make-up very well (& I was only wearing a bit of mascara and eyeliner). To be honest this isn't much of a problem or worry for me I just used my regular eye make-up remover for that. I was more concerned with the results on the rest of my face. You are meant to change your sponge after 3 months of use so in January I started using the charcoal sponge and I can definitely see the difference between the 2 sponges. My skin type is Sensitive/combination and although I loved the natural sponge the charcoal sponge took care of any spottiness that I'm prone to without drying out my skin. This is pretty important to me because I am also prone to get VERY dry patches on my face which can turn into eczema if something is too harsh. The sponges also come in Red, Green and Pink French clay and I'm thinking next time I'm going to try the French Pink Clay which is for Tired & Devitalized Skin. 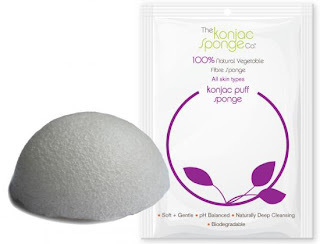 They don't only do sponges for your face but also your body and there's even a baby sponge. If you have hyper-sensitive skin like me and are looking for something that you won't react to then I think that this could be your solution. Wow, those sponges sound really good. Are they expensive? Wow that sounds really interesting. need to check that out! Hii Kate , My name is Aziim. Im from Malaysia. Nice to read your Konjac Review. 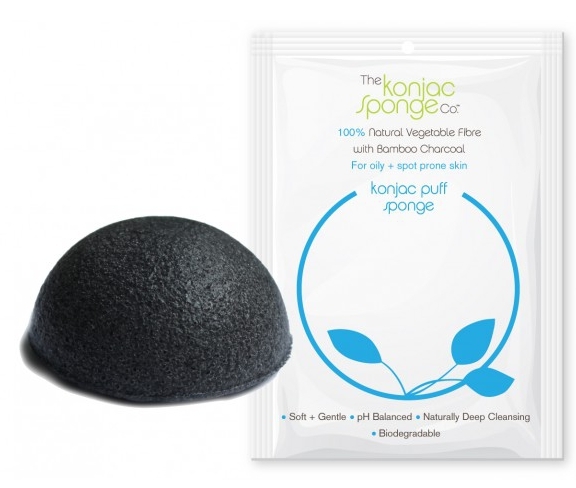 I just want to ask you recommendation on Konjac Sponge , is it realy work on sensitive skin? Everyone is different but they definitely worked for me and my skin is hyper sensitive. I would say if you wanted to try them and you're worried about having a reaction to go for the natural sponge as you'd be less likely to react to that one.